This cabin is privately owned. 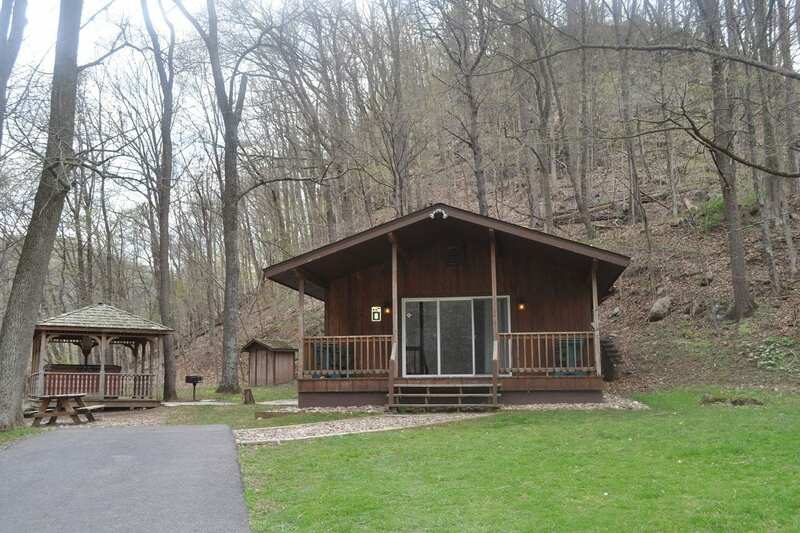 The cedar cabin features two bedrooms: one with king size bed and the other with a standard bed, a full bath, kitchen, a great room, rock fireplace with gas logs and covered deck with 2 porch gliders. Includes a Private Outdoor Hot Tub.